The Patriot Ledger published wonderful photographs from our Havana Nights themed Soiree that took place on September 28th, 2017. The Kraft family and New England Patriots Charitable Foundation's Myra Kraft Community MVP Awards place a spotlight on those who give their time to help others and exemplify leadership, dedication and a commitment to improving their communities through volunteerism. On June 2nd, founder Cara Belvin was recognized for her contributions at a luncheon and awards ceremony at Gillette Stadium and awarded a grant of $10,000 for our young organization. "This event will always be one of my favorite community programs that we do," said Patriots Chairman and CEO Robert Kraft. "The story of each recipient and the cause they are supporting is so unique and inspiring. I know that, just like Myra, none of these winners were looking for any recognition but we are happy to shine some light on the great work they are doing in their communities." On hand to congratulate the award winners were Patriots Chairman and CEO Robert Kraft, New England Patriots Charitable Foundation President Joshua Kraft and Patriots and Pro Football Hall of Famer and Patriots Executive Director of Community Affairs Andre Tippett and Hall of Famers Tom Brady & Rob Gronkowski. For more on this story, please CLICK HERE. For Fox 25's recap of the day's events, CLICK HERE. 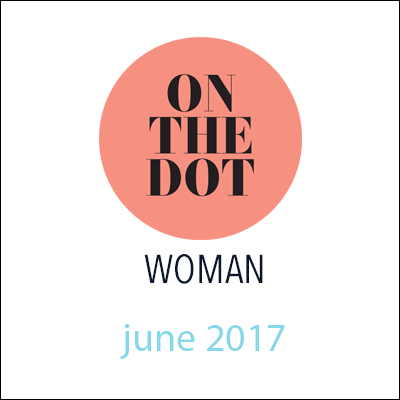 Founder Cara Belvin was recently interviewed on Boston's MAGIC 106.7′s Exceptional Women program. EXCEPTIONAL WOMEN is the nation’s leader in programming by and for women. EW has won 41 prestigious awards including the 2014 Gracie Allen Award from the Alliance for Women in Media, the Gabriel Award from the Catholic Academy of Broadcasters, and the Massachusetts Broadcasters Association “Sound Bite” Award. To listen to the full interview, please CLICK HERE. 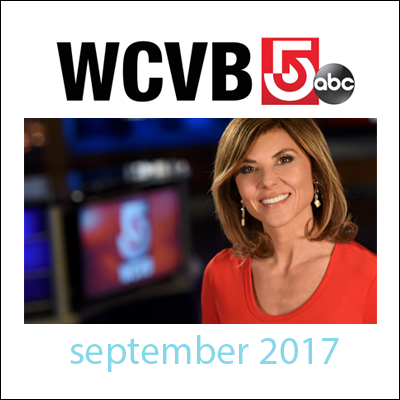 Click below for the story behind empowerHER and to learn more about founder Cara Belvin on Boston's Easy 99.1 FM. CLICK HERE to listen to the 2016 recap and below for the 2015 interview. 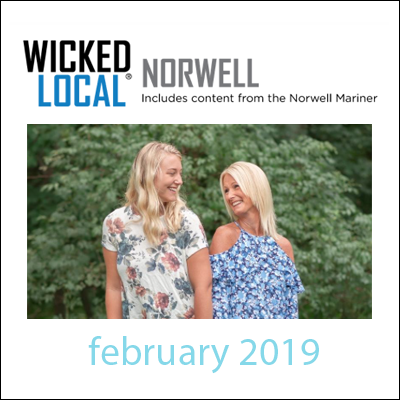 Writer Suzie Ward chronicles founder and Scituate resident Cara Belvin in her recent "In Our Midst" column. CLICK HERE to read on. "The funds raised from the latest 'Pink Ribbon Overdose' performance will support empowerHER’s Mother's Day Weekend Retreat in Boston in May.“While we acknowledge the grief and sorrow felt on this holiday weekend, we strive to transform it into a celebration of life, offering fun and laughter as coping mechanisms all while experiencing the mentorship of like-minded women rallying behind each girl we serve,” said Cara Belvin, the founder of empowerHER.Belvin, a Scituate resident, said the Mother’s Day Retreat is the organization’s signature event. Kristina Keymont, a Braintree High School student, lost her mother a few years ago. She participated in an empowerHER Mother’s Day retreat. "When I met these women for the first time I was amazed by how strong they are and how caring they are when they didn't need to be,” she said. “Cara Belvin and Melanie Toirac (mentor) have shown me a lot and how to become a strong woman and to show all us girls that we are not alone. Melanie gave me a present the last time we saw each other, it was a picture that is now hung on my wall with a quote that says, "What if I fall? Oh, darling what if you fly..." This reminds me everyday I can do anything in life and to never give up. "empowerHER remains a volunteer-driven organization and all programs and initiatives are held at no charge to the family. For the full article, please CLICK HERE! Founder Cara Belvin dishes on Lauren Wakefield Photography's Blog about her real self...not the self she may sometimes try to portray! To read on CLICK HERE! To learn more about founder Cara Belvin's inspiration and motivation to form a nonprofit dedicated to helping families of an early loss, please CLICK HERE! 2016 empowerHER Beach Soiree Video: The empowerHER Story. It is the story of many young girls and families. 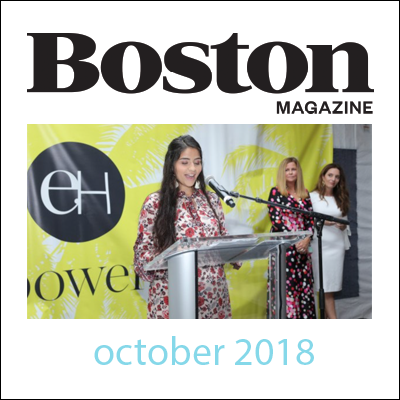 Please take a moment to hear from two beautiful, brave young girls from empowerHER and their story as told at the recent empowerHER Beach Soiree gala on September 22nd in Scituate, Massachusetts. Together, we raised over $80K to help ensure all programs remain at no charge to the family, and we are afforded the opportunity to serve even more girls in 2017.